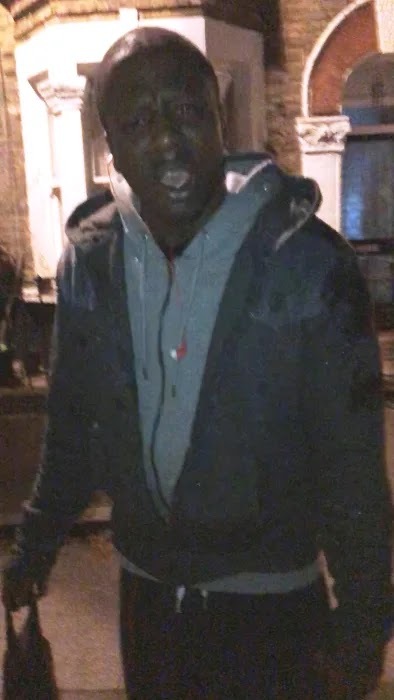 Detectives in UK are appealing for help to identify a man after a woman was approached by a stranger who demanded s-x and then exposed himself. The incident took place at approximately 20:45hrs on Monday, 28 January.The 19-year-old victim was in a convenience store on Camberwell Road in Southwark when she became aware of a man looking at her from outside the shop. The man stared at her through the shop windows and watched her as she went from aisle to aisle doing her shopping. As she left the store, the man approached her and tried to engage her in conversation. The woman ignored him and walked away, but he followed her and began asking where she lived. The woman was alarmed by this and the man then stated he wanted to have s-x with her. She responded by telling him to get away from her. The woman walked along Burgess Park and onto Addington Square when she became aware that she was being followed by the man. At the junction with Rust Square, which was well lit, she made the decision to bravely confront the suspect and film him so that he would leave her alone. She then noticed he had exposed himself. At this point the woman threw water over the man and left the area; she then called police. The suspect is described as a dark-skinned black man, aged approximately 25 to 30 years old, 5ft 6ins tall and of medium build. He was bald on the top of his head, and the remaining hair was very short. He was wearing a grey hooded top under a dark coloured jacket, black tracksuit trousers and black trainers. He spoke with what has been described as a ‘local accent’. Any witnesses or anyone with any information is asked to call police on 101 or contact via Twitter @MetCC. Quote CAD 7332/28JAN19. To give information anonymously contact Crimestoppers on 0800 555 111 or online at crimestoppers-uk.org.